Yesterday felt like a kind of personal milestone. I made a meal for the first time using ingredients I had either grown or made myself. 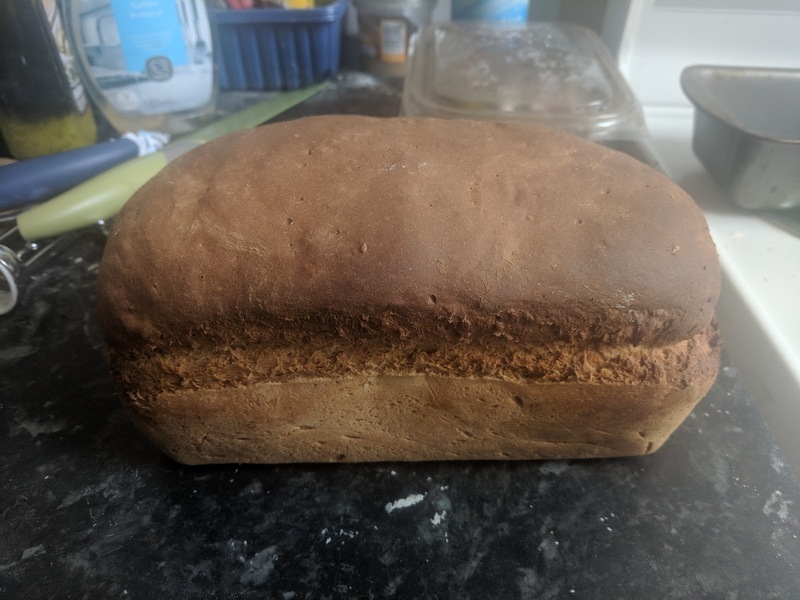 As you can see, in a matter of months, I have mastered the art of baking bread. Have you ever seen a more perfect loaf than this? Shaping your dough gently into the loaf tin just after the second kneading is the trick. Up until this loaf I've been just whacking it in there, which has led to some uneven, less presentable (though just as tasty) loaves. This one, however, looks as good as it tastes. And you don't need to use "bread flour" (£1.15 at the Co-op) - bog standard white or brown flour works just as well (60p for a bag of white; the Co-op doesn't even seem to sell brown). 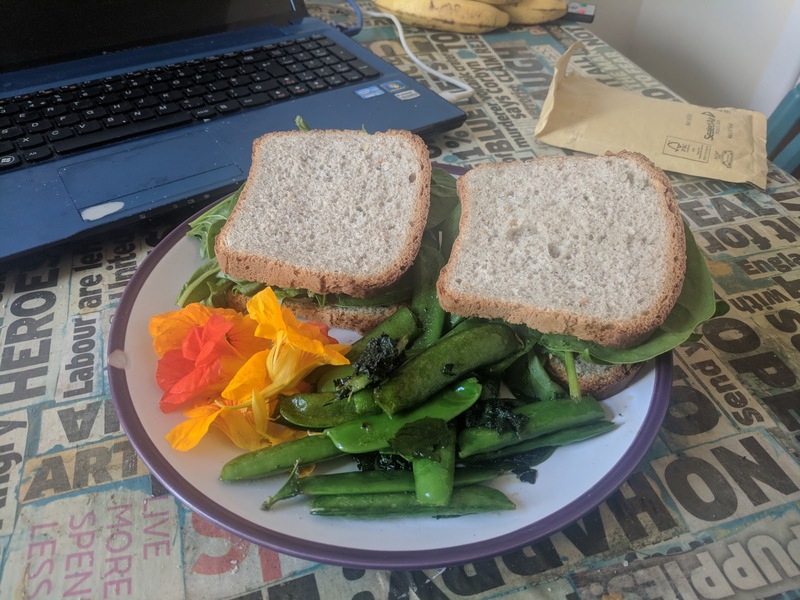 The spinach is delicious raw, so I whacked that between the sliced bread with a dash of oil, and that's what you call sandwiches. 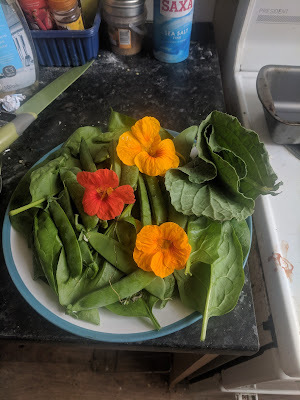 Then I stir fried the peas in their pods, with the one massive borage leaf and sprigs of mint, and ate them on the side with the nasturtium flowers. High tea. It's hard to put into words how wonderful it feels to do this and at the same time, how completely normal. Like everyone should do exactly this, every day. Time was of course, we did. But time was as well, that we weren't entering an insect Armageddon. All of this may be far too little, far too late. At least now we have the technology to instantly share pictures of our food with what's left of the world. Oh, progress. I find myself wondering again how I might be able to multiply such activity by (365 x 3) = 1095 to be able to source all of my food myself through my little allotment. It's been so rewarding to have done so even once, I might actually start making the calculations.